Clocks are great machines to design, at least from my perspective as a designer of software machines. My classes have had unusual clock design as an exercise; time-telling systems are not interactive, provide a lot of freedom to the designer, and yet require programmers to develop general functions that work for any time of the day. I know that Michael Mateas and Paolo Pedercini have students program clocks, too. I’ve appreciated software clocks by John Maeda and others, and it’s nice to have a clock as a standard example in Processing. So, I was delighted to see that 10 PRINT CHR$(205.5+RND(1)); : GOTO 10 inspired Vincent Toups to create a another of his many aesthetic software clocks, Clock 52. Acting on a tip from The Kelly Writers House at my alma mater, the University of Pennsylvania, I recently learned about, and then read, Alan Light’s book The Holy or the Broken: Leonard Cohen, Jeff Buckley & the Unlikely Ascent of “Hallelujah.” This intrigued me as an admirer of this song in particular, Leonard Cohen’s songwriting and singing generally, and other aspects of his literary art (particularly the incredible novel Beautiful Losers). It also appealed to me as an entire book written about a single, short work. 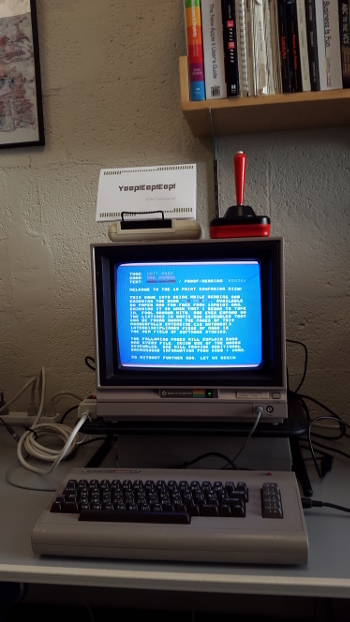 In this case, the work isn’t a Commodore 64 BASIC program – as in the book collaborators and I wrote, 10 PRINT CHR$(205.5+RND(1));: GOTO 10 – but a popular song with many lines and many covers, one that has been used in a wide variety of contexts. The author discusses those many contexts well, covering the original release, the famous Jeff Buckley cover, and many other versions. There’s discussion of Shrek, the VH1 9/11 memorial video, manifestations on Idol and X Factor TV shows, and uses in religious ceremonies. The book is not really a deep dive into the music or the lyrics, although the etymology of the world “Hallelujah” and the differences in how the term is used in the Hebrew and Christian Bibles are discussed. Cohen declined to be interviewed, so the book also doesn’t spend too much time on origin myths, just recounting a bit from previous interviews. The book works to tease out the many things the song has meant to people and how it has managed to have all of these meanings. It’s quite a different book from 10 PRINT, both in methodology and because the BASIC program is quite a bit different, culturally, than the song. I found it a quite enjoyable read. 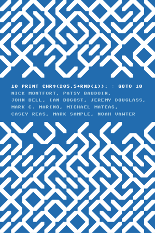 >We’ve been reading the book 10 PRINT CHR$(205.5+RND(1)); : GOTO 10 and became very inspired by the section on procedurally generated art. All the footage in this video was generated by Commodore 64 programs written by us, including a 6502 assembly version of 10 PRINT. 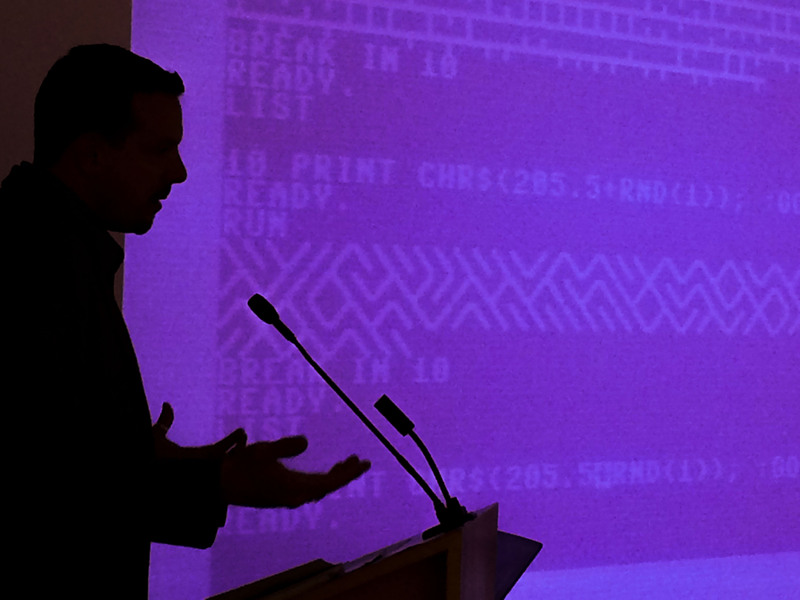 The lyrics were also generated algorithmically; Sonnet 64 and some commentary on it from Wikipedia were fed into an old Amiga program called NIALL, and the output was edited together into something resembling lyrics. The corruption the sonnet underwent became the theme of the song and video. is, quite aptly, line 10 of Shakespeare’s sonnet 64. 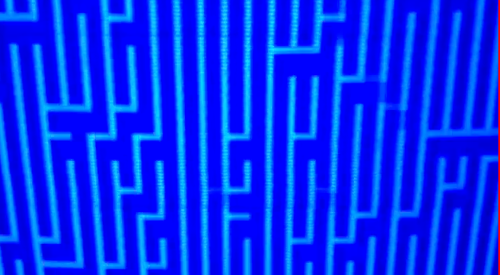 10 PRINT CHR$(205.5+RND(1)); : GOTO 10 has been reviewed in Neural, an excellent long-running magazine, print and online that covers creative computing from digital art and music through hacktivism. The reviews in Neural (which is published in Italy, in Italian and English) are short and to the point; I’m pleased to see that they neuronally grasped the concept of 10 PRINT and appreciated the work that my collaborators and I did on it. 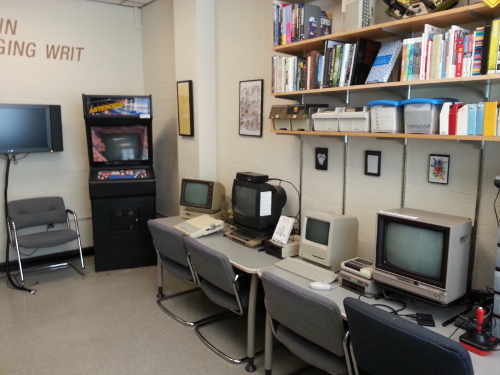 The Trope Tank is a physical facility with unusual material computing resources from the past few decades – as well as places for researchers to sit and work with their more modern computers. The facility and materials provide for visits from classes, discussions with visiting researchers, and support for creative and research projects. The lab space continues to house the monthly meetings of the People’s Republic of Interactive Fiction, the Boston Area’s local IF group. 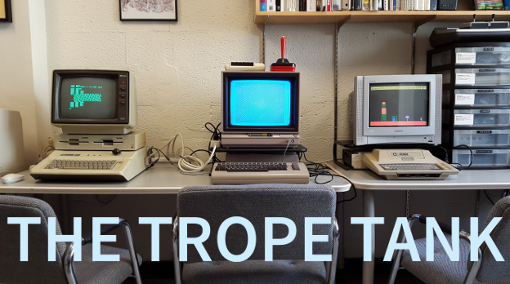 Trope Tank equipment has supported talks this year at the Boston Cyberarts Gallery, Microsoft Research in Redmond, UCLA, the University of Maine, and other venues. – Clara Fernández-Vara, who took part in the Tools for the Telling project back in 2007-2008 and has been a visiting scholar at the Trope Tank this year, is joining the faculty of NYU’s Game Center at the end of summer as an associate arts professor. – Amaranth Borsuk, who was guest organizer of the Purple Blurb series in 2011-2012 and is a current collaborator on _The Deletionist_, is joining the faculty of The University of Washington, Bothell as an assistant professor. She has been a senior lecturer there. 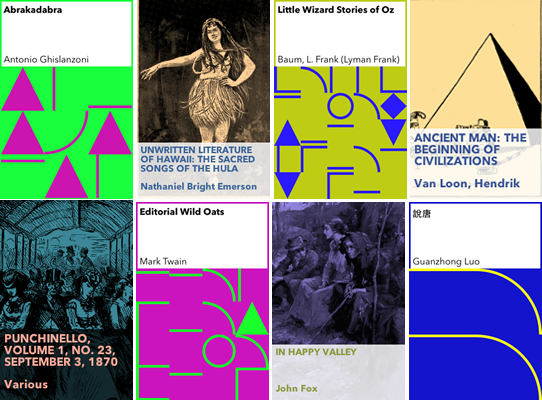 The Trope Tank’s series of technical reports, called the “Trope Report” series, now features five items and is archived in MIT’s DSpace. 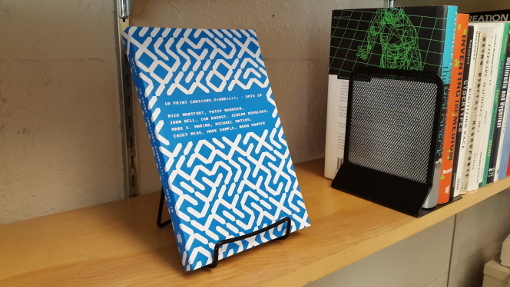 – The book 10 PRINT CHR$(205.5+RND(1)); : GOTO 10 was published last year by the MIT Press (and is also available for free download as a PDF). Various subsets of the ten authors have been doing presentations related to the book in many different contents. 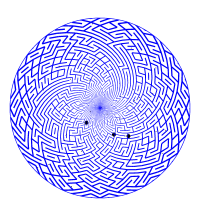 – The story generation project Slant was initiated and the first paper was accepted at ICCC 2013. It will be presented there, in Sydney, next month. The project involves integrating or developing new work based on decades of research by Nick Montfort, Rafael Pérez y Pérez, and Fox Harrell; those three and Andrew Campana have collaborated to initiate the project. – The Deletionist is a current poetic project by Amaranth Borsuk, Jesper Juul, and Nick Montfort which will premiere at E-Poetry next month at Kingston University, London. The Trope Tank will continue to support research, creative work, and teaching this summer and beyond. 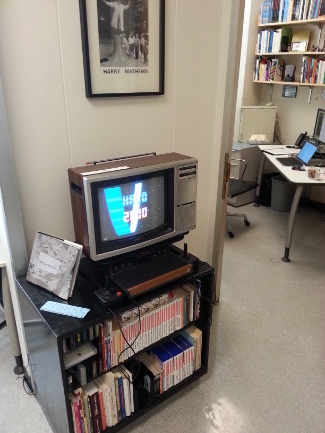 This is a laboratory to allow people to work with material computing systems; while it is not an archive, museum, or library, and does not offer all that such institutions do, it does provide for hands-on access to the history of creative computing. If you are interested in using the systems and materials in the Trope Tank, please contact Nick.